Dos Flea and Crawling Insect Spray by FMC combines innovative packaging and a combination of active ingredients for a quick solution in one convenient aerosol can. Dos Flea and Crawling Insect Spray by FMC combines innovative packaging and a combination of active ingredients for a quick solution in one convenient aerosol can. 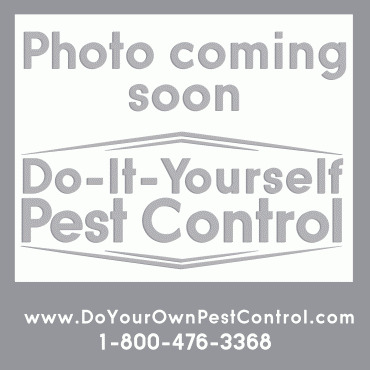 Dos Flea and Crawling Insect Spray controls fleas, roaches, spiders, ants, silverfish and other insect pests. It contains a the quick knockdown, pyrethrin, a residual action with permethrin and an IGR (insect growth regulator) to break the life cycle of roaches and fleas. One can covers up to 1,700 square feet. Dos Flea and Crawling Insect Spray provides "Dōs (two)" easy application techniques. It comes with a straw attached. If choosing to apply Dos Aerosol as a crack and crevice or spot treatment, simply flip up the straw. If choosing to broadcast Dos Flea and Insect Spray (as for flea control), flip the straw down and use the recessed spray button. It even has a locking mechanism to prevent accidental sprays with no overcap needed. The combination of active ingredients provides a quick knockdown as well as cutting the life cycle of the roaches and fleas. It will last for 120 days for roach control and 210 days for flea control. Cutting the life cycle of these insects will prevent reproduction and development of these insects. Thoroughly vacuum rugs, carpets, fabric coverings, along baseboards, under furniture. Dispose vacuum bag afterwards. Wash pet bedding and small rugs. Spray Dos Flea and Crawling Insect Spray the entire area that infested, floors and infested upholstered furniture. Pay particular attention to where pets rest for flea control. Spraying downward, hold Dos Flea and Insect Crawling Insect Spray about 36 inches from surface being treated. It takes about 10 seconds to treat 80-90 square feet. Remove and wash pet bedding after insecticide has dried. It is suggested to also use a product that has an IGR to treat your animals directly such as, Flee Plus For Dogs Use Bifen IT for yard flea control. Apply to insects directly or whenever possible - Use a rate of 17 oz. for up to 1,700 sq. ft.
. Do not allow adults, children, or pets to enter the treated area until sprays have dried. Do not contaminate food and feedstuffs. Remove or cover dishes, utensils, food processing equipment and food preparations surfaces or wash them thoroughly after treatment and before use. Do not use in food handling establishments in which food is held, processed, prepared and/or served. When used in the home, cover or remove all exposed food and cooking utensils and cover all food processing surfaces and wash thoroughly after treatment and before reuse. Do not use in aircraft.